It’s a beautiful focus on family and an abundant love for music that makes Stefanie Jamison and her studio, The Musik Box, stand out. When you meet Stefanie – which usually also means you get to meet her incredible family, you can’t help but notice the overflow of enthusiasm, energy, and passion for all things family and all things Kindermusik. Stefanie teaches with a lot of heart, and she runs her business with a lot of heart too! Lovingly known as “Mrs. 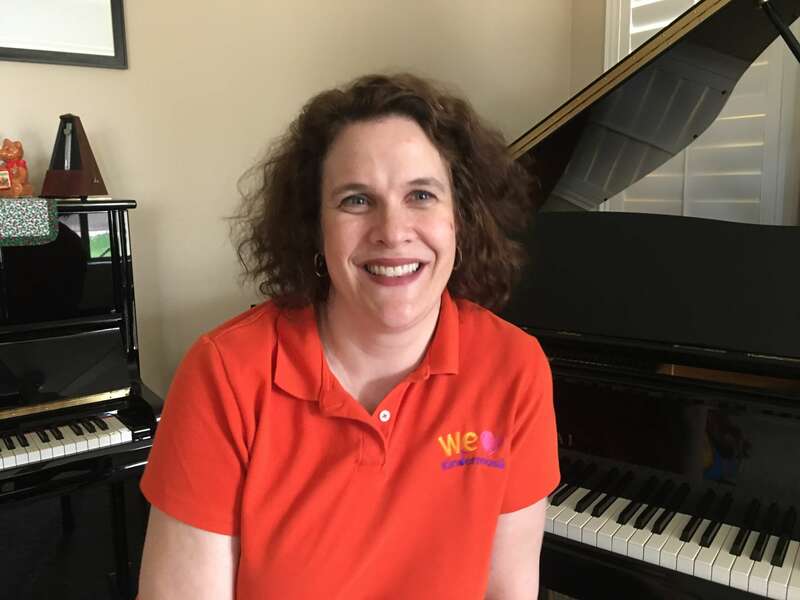 Jamison,” Stefanie has been a studio owner and Kindermusik educator in the Phoenix, Arizona area for over 6 years now, and we are delighted to feature her very inspiring story. Oh and by the way, when she’s not homeschooling or teaching Kindermusik, you’ll probably find Stefanie hand-knitting baby blankets to welcome the newest babies in her Kindermusik family. TC: I understand that there’s a very special story about how you became a Kindermusik educator. SJ: Yes, I have a very unique story in how I came to teach Kindermusik. I had a child with serious developmental delays due to a life-threatening infection and intensive surgical intervention in his life when he was a toddler. I knew the power of music therapy from my background of study and research in child development at the University of California, Berkeley. So I took him to Kindermusik, and he learned to sing before he regained his speech. Our experience at Kindermusik was life-changing as a family. We then were blessed with two more children, but we struggled to find a consistent Kindermusik experience for them. With the economy changes in our state we had 10 teachers in less than 5 years. So our last Kindermusik teacher recommended that I become licensed. It was an outrageous thought because at that time I was bedridden from a serious illness. But I thought it would be a way to help my own kids out of the isolation that my illness brought inadvertently to them. It was also a reason for me to get out of bed and get dressed each day. I started with one class a week. Now I teach over 30 classes a week, and I can move without any restrictions. The miracle of sharing music with others is that I feel better than ever. I will always have pain – that’s my reality – and yet singing and dancing helps me to function. Based on what I do on a daily basis as a Kindermusik teacher, no one would ever guess that the prognosis given to me by doctors years ago was that I would never walk again. TC: How do your Kindermusik kids (or families) describe you? SJ: Enthusiastic celebration! I love to celebrate parents and children. My goal is to help each parent to see the gift that is their child and to find great delight in them. To be a force for encouragement in this world is my purpose! TC: What makes your studio such a special place? SJ: We provide more than a music class. For example, when I realized how many of my parents were worn out and not getting all-important time alone with each other, we started an outreach on the weekends called “Music Camp Out.” Parents could leave their children in our family’s care for three hours while they enjoyed a night out together. As a family we pick a theme and then build a music class around that theme, incorporating games, crafts and a kid-friendly movie. The funny thing is that the kids that attend could care less about the movie. They are more interested in the social activities and music. It’s a way for our family to share some of our favorite songs and activities from across all the different curricula. Kids look forward to these nights just as much as parents. We are able to give respite to the weary and help them to carry on in their most important role as parents. We do this in part because our belief is that strong families are made by strong marriages. SJ: I love teaching Kindermusik for many reasons. 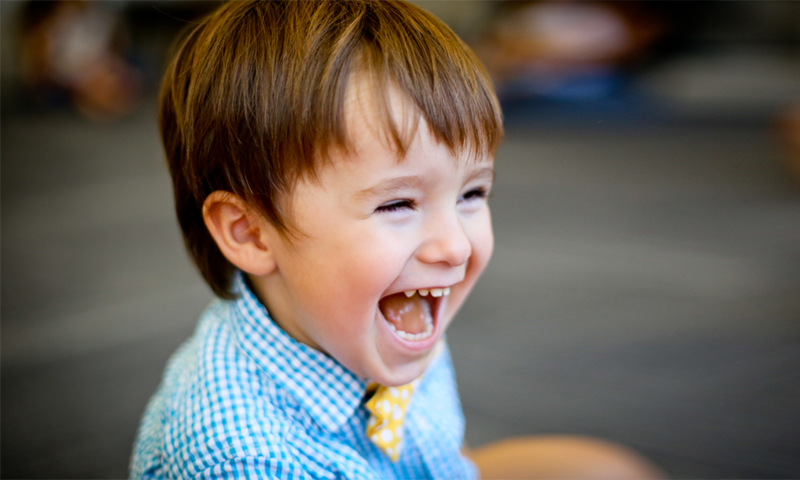 I delight in seeing young children’s faces light up during different activities in class. It is particularly touching to see parents connect with their children and tell me how their kids go home and enjoy music class at home with their parents. TC: What’s your favorite Kindermusik song to sing? TC: What’s one thing that has significantly impacted the direction of your business? TC: What do you feel has made your studio business a success? SJ: Personal attention. I first started with four families in 2011 and I did it for my own children to meet other kids. At that point I was still struggling with my health, so teaching in my home was the reason to get out of bed and get dressed. It is amazing to see how it has grown and how my health has improved alongside that growth. My doctors marvel that I discontinued all my medicine. I attribute that to the power of music. Teaching really does make me feel better! Truly this business is a family affair as my husband and kids serve our families right alongside me. God has certainly blessed us beyond what we ever expected or imagined when we started. SJ: Since I started my business, I have taught in both Arizona (my home state) and in Oregon while my husband was on a long-term training assignment with his company. I have taught at my house, a friend’s house, a community center, and even a toy store. Now my business has expanded to the point where I can sustain teaching in my own studio. I will be moving to my own studio within the month! It’s a wonderful teaching space near my house. Best of all, my husband will be my neighbor, as his business is in the adjoining suite! We are even eyeing the next city that we want to open our next studio in! So we see growth as a serious possibility! TC: What is one of your own favorite Kindermusik memories? 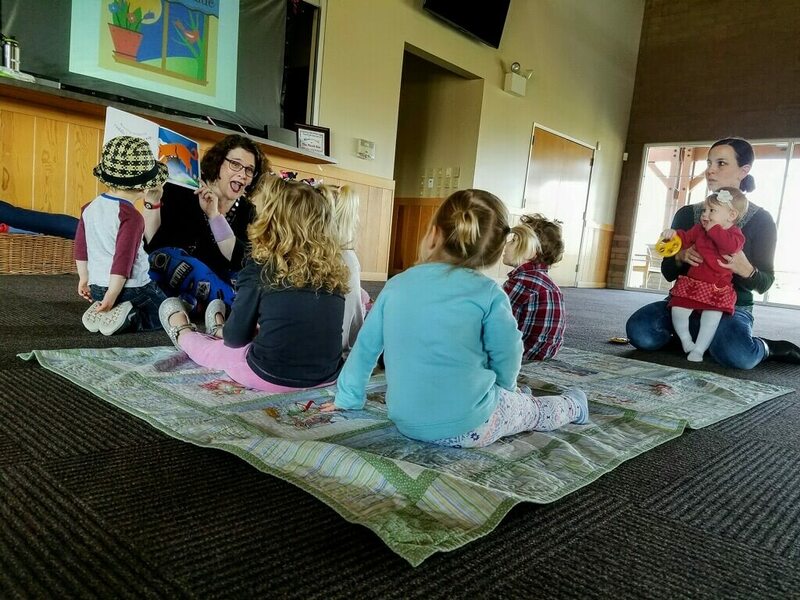 Interested in learning more about Kindermusik University, starting a new Kindermusik business, or adding Kindermusik to your existing business? Just fill out the quick form below. We look forward to seeing you in our next training class!